Orientation on the new program inititaed by CBSE, HPE(Health and Physical Education) is organized on Sep 1st 2018 in the School Assembly Area. Mrs. Geraldin Disouza briefed the parents on the new system. 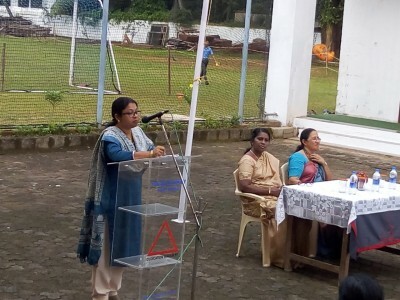 A Session was held by the school councilor Ms Nidhi Ann Abraham on the topic "The need of councilor in a school".The Principal Mrs. Shireen Francis addressed the parents.Open House for classes 1 to 12 conducted in the respective classes.